Stream anime episodes online for free, Watch Yu Yu Hakusho Episode 13 English version online and free episodes. Anime Episode guide, Chapter Yu Yu Hakusho Episode 13 English dubbed Yusuke vs. Rando: 99 Attacks Rando reveals himself to Yusuke, using a barrage of stolen techniques against him. 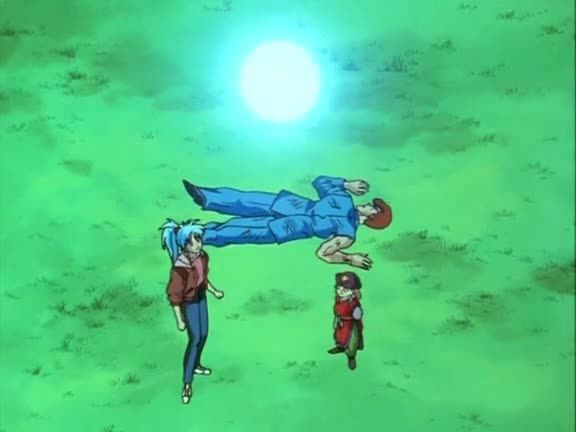 Yusuke manages to overcome Rando by tricking him, turning his technique against him, and he becomes Genkai’s student.